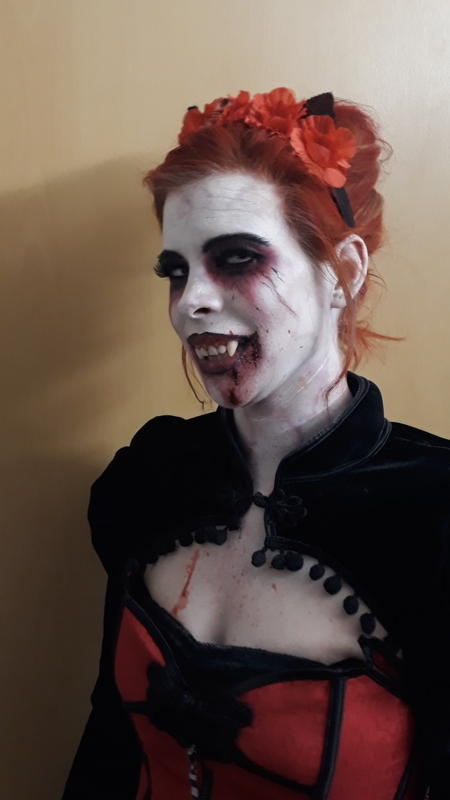 here i want to show a vampire make up i did for a friend. 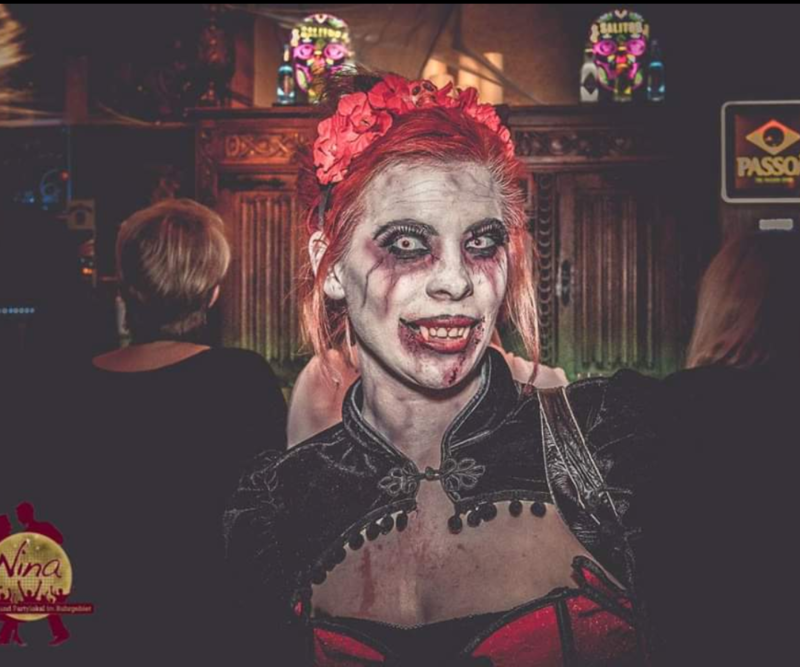 The first step was to take a dental impression from her teeth to create vampire teeth. I asked her for special bite characteristics like under/overbite, crunching teeth and so on, so that i knew what i had to account in the design. After casting a gypsum positive, i sealed it with 5 minute epoxy and started sculpting. 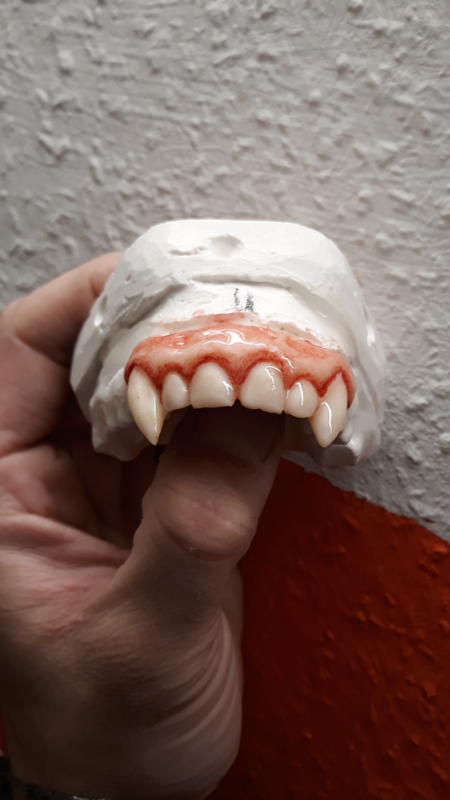 Once the sculpture was ready, i did a a silicone mold and casted the teeth out of dental resin and painted them with stains to the original tooth shade of her teeth. I picked up her original tooth design in the sculpture, so the vampire teeth implemented into the natural line to give it more believability. 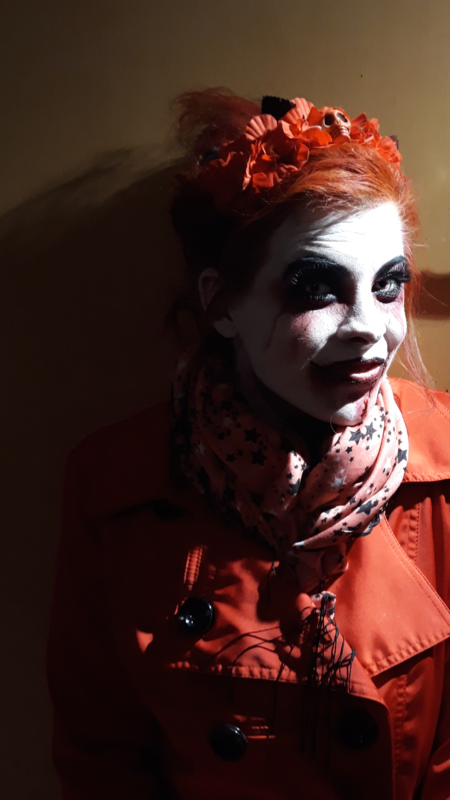 Switching between white, red, brown and black cream make up, fixative spray and eyeliner, the makeup went more and more to finish. 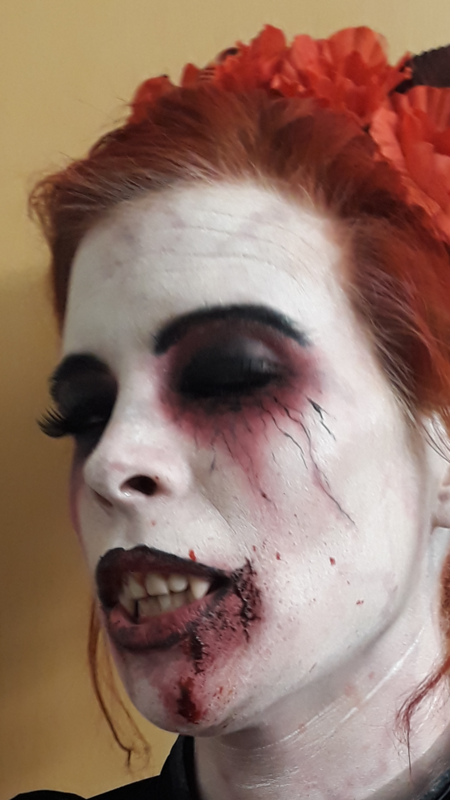 To give it a final touch, i thinned down a mixed violet cream make up with alcohol and airbrushed some veins on gently. 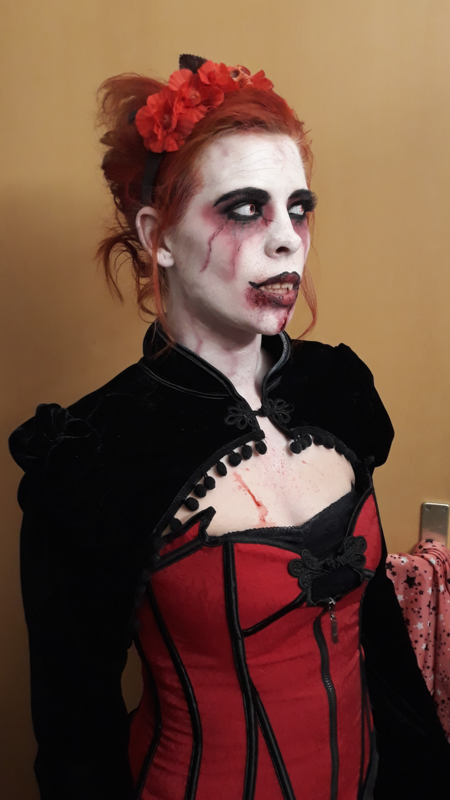 After she put in the contact lenses and the teeth in, i spreckled some theatre- blood onto the cleavage. The teeth fitted perfect. I hadnt to fix them at any point. The makeup lasted all night long in the "Nina" club.